We’ve just added a couple of new levels set in the Humansville International Airport! Are you ready to feed all of those hungry passengers? 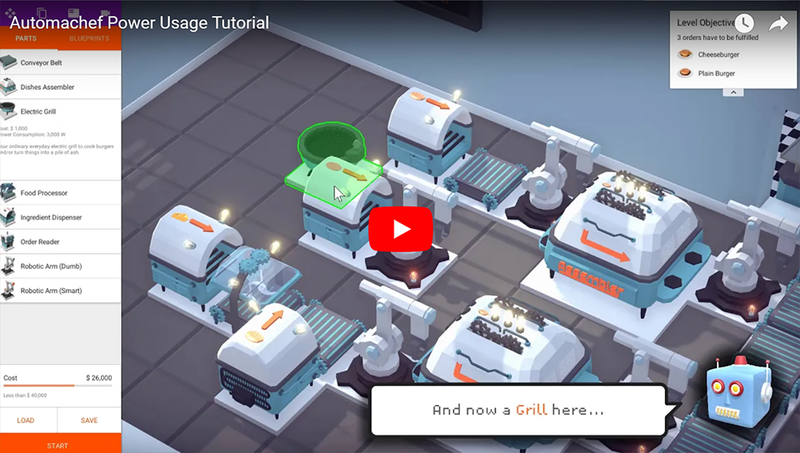 Now the game has three new tutorials that will teach players about Order Readers, Power Usage and Disasters! You can check out a couple of them in Youtube here and here. The liquid ingredients we introduced a few weeks ago can now be mixed using the brand new machine: The Liquid Mixer. Complex recipes will require special condiments that can only be obtained by mixing other basic ingredients in the right ratios! 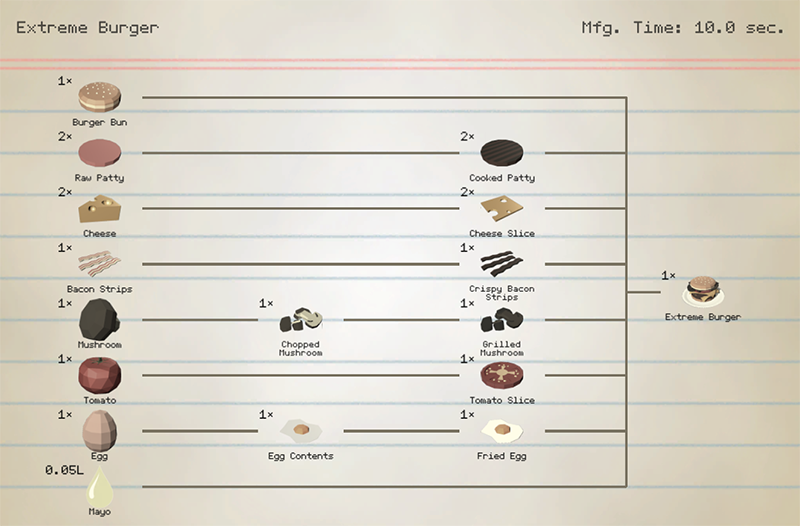 We’ve also added a few new recipes to the game, but our favorite is, by far, the Extreme Burger. You’re going to have a hard time designing a machine to manufacture these!